Sizing is an iterative process that continuously brings together customers, hardware vendors and SAP, so that, for example, direct links to SAP’s hardware vendors facilitate the tendering procedure. Quick Sizer is a Web-based tool designed to make the sizing of SAP applications easier and faster. It has been developed by SAP in close cooperation with all platform partners and is free of cost. With Quick Sizer, you can translate business requirements into technical requirements by simply filling in the online questionnaire, an up-to-date survey that is based on business-oriented figures. The results you obtain can help you select an economically balanced system that matches your company’s business goals. This is especially useful for initial budget planning. Quick Sizer calculates CPU, disk, memory and I/O resource categories based on throughput numbers, and the number of users working with the different SAP solutions in a hardware and database independent format. 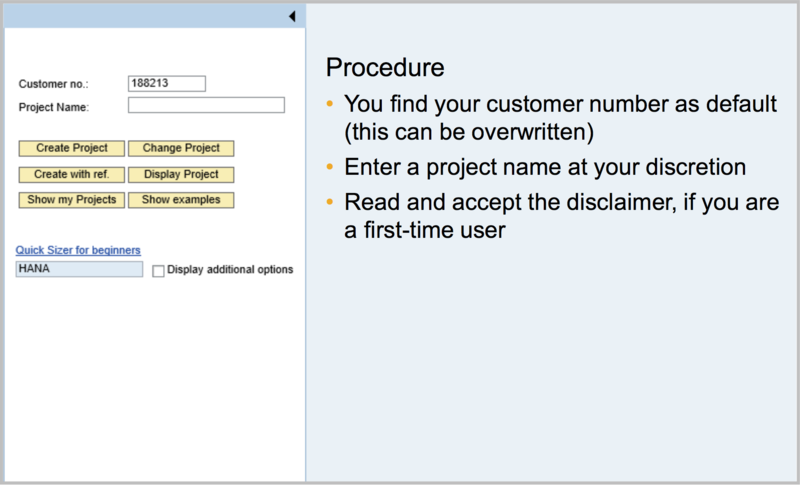 Access Quick Sizer tool from SAP Service Marketplace using your credentials. 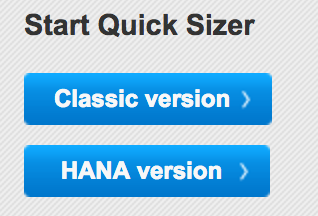 Start HANA version of Quick Sizer. Create Project by feeding Customer no. and Project name. Select “SAP BusinessObjects Business Intelligence” and proceed with entering number of users (Information Consumers, Business Users, Expert Users), type of reports (Small, Medium, Large) for applications of interest per your suite. So, with these simple steps in quick sizer tool, you can calculate CPU (SAPS), disk, memory and I/O resource categories for your SAP BusinessObjects Business Intelligence landscape. 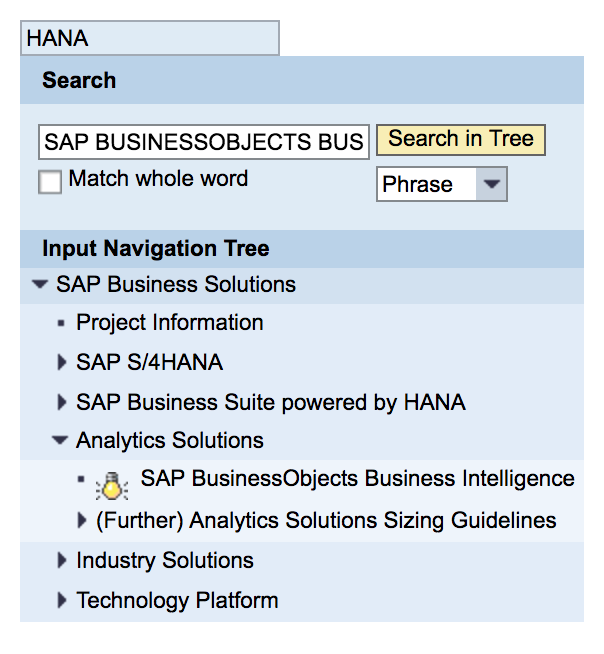 You can find SAP Quick Sizer documentation for Beginners, experts, etc. sizing at Quick Sizer tool page.